Setting about to make colognes from scratch is exciting, though it clearly requires patience and dedication. 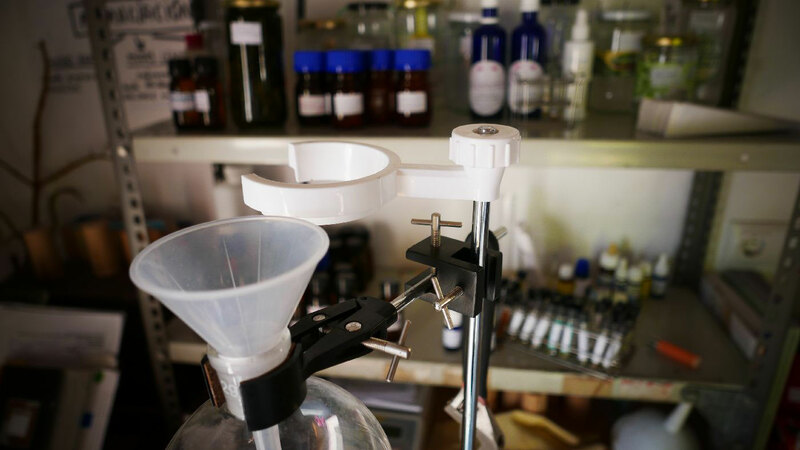 The first “prototypes” that left my laboratory were formulated with essential oils bought from ecological production, as well as the base alcohol, which came from grapes produced in ecological vineyards. This was as close as I could get to working with a palette of oils from wild gathering, and allowed me to work on variations in a relatively short period of time (keeping in mind that a cologne should mature for at least one month until being able to evaluate it). As might have been expected, the results were rather poor when it came to the details, but the quality of the base products let us think that better things would come. The first colognes were agreeable, with the rosemary clearly dominating as it was present in all of them, making them seem almost identical in spite of the many differences in composition. I gradually began to learn how to correct this imbalance and better compensate the aromatic variety that went along with rosemary. This is when the first worthwhile prototypes began to appear. Of all the colognes that made it past the first quality control tests (that is, past my nose), no. 0006 was the first I dared to produce in enough quantity to give as a gift to friends and relatives. It had rosemary, thyme, lavender, cypress, juniper and pine, with sage as the natural botanical fixer. It was the reproduction of one of my habitual walks near our home in Pontós. I had a few labels made (with the prototypes of the logo designed by the amazing Joan Tarragó, but with spelling errors) and I bottled it in 30ml flasks, accompanied by my first business cards. This was an ideal Christmas gift―ideal especially for me, since I did not have to think of anything else to give to anyone. No. 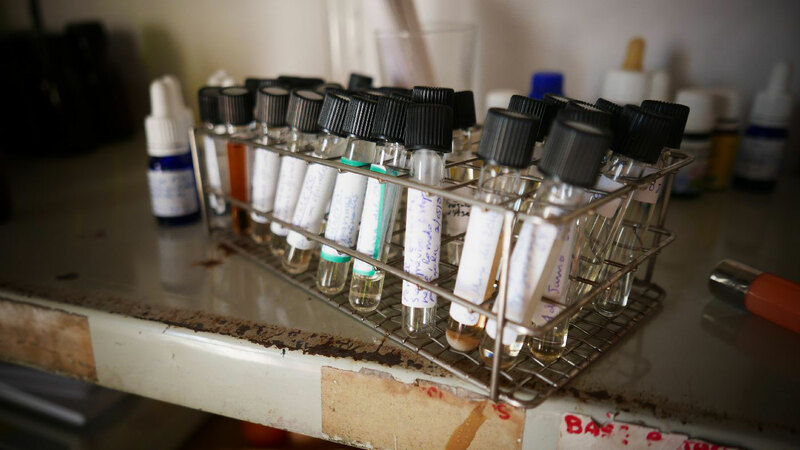 0006 was the first cologne to leave the laboratory, and it warranted critiques and commentaries. There were a lot of both, even though, as the saying goes, you should not check the teeth of a gifted horse. In general, though, the first reactions were surprisingly positive (apart from a certain confusion for the final “e” in WILDE). On the one hand, people really appreciated the intimate sensation of having come off the hills, which was sensed immediately with the characteristic scents of rosemary and lavender. They also found it highly stimulating, as if the smell had the power to enliven you, (“perfectly”, said the most enthusiastic users), something to put on just before going out at night or first thing in the morning. Others, however, found it too simple, unsophisticated or excessively savage. There were even some who compared it to an analgesic cream, which made me laugh but did not please me at all (this was likely due to the camphor which is found in both lavender and rosemary). It also had a problem with how long it lasted. The scent faded quickly, and while this is perfectly normal for a 100% natural scent, it got into my head as something that had to be overcome in future attempts. In fact, No. 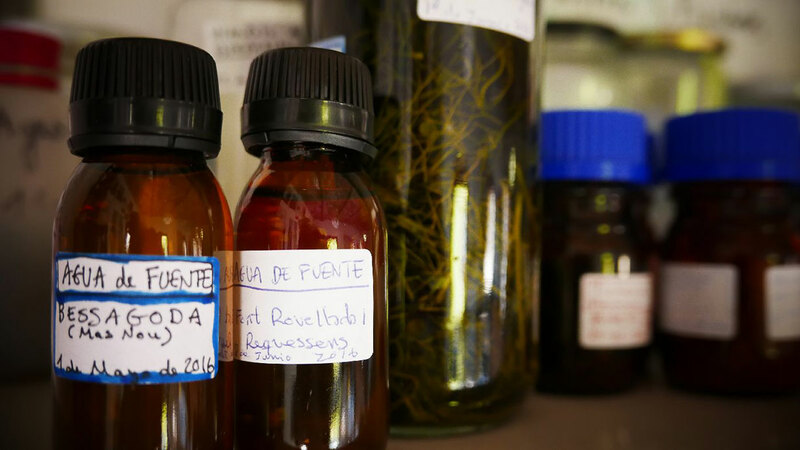 0006 was still far from being a veritable BRAVANARIZ cologne, given that it used oils from plants that had not been collected in the wild; neither were they from the area I wanted to work in, including the Empordà, Les Gavarres and La Garrotxa regions. I have continued to research since then, looking for a greater variety of details, more balance and better fixing. 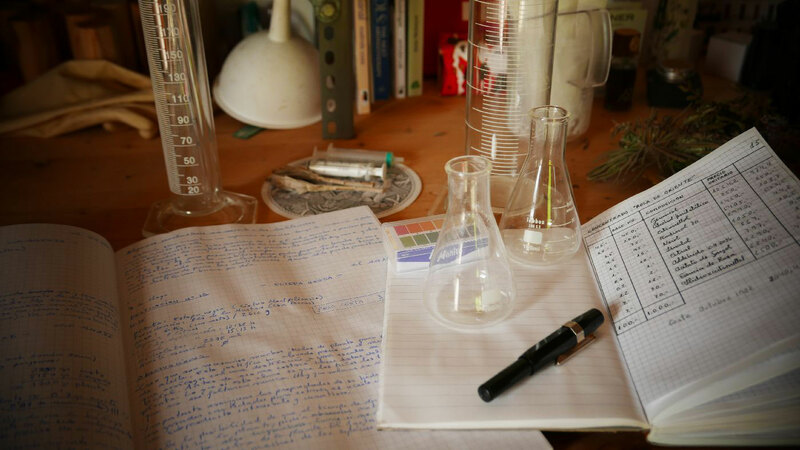 I have done tests with essential oil derived from cistus narrow leaf, from the gum rockrose family, a famous fixer in the Middle Ages and very abundant in the zone, and the results are rather exciting. This is especially because they are intensely suggestive of certain areas of the Empordà. I have also tried with oakmoss, which gives scents a strong personality and a rather classic touch. I now have some 13 prototypes that have gotten past my first control filter, though I have done many more attempts than that.